For an affordable kitchen renovation, consider this elegant undermount sink offered by Everhard. 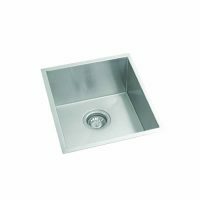 Featuring a clever design, the Squareline Plus one and 1/2 bowl with drainer can be installed either as a top mount or as an undermount sink. It has been designed to complement existing cabinetry, cupboards and drawers, whilst being proportioned to fit industry standard kitchens as well as modular kitchens. This kitchen sink is highly practical whilst offering sophisticated looks. Measuring 1080x440x200mm, it has bowl capacities of 34.4L and 17.6L. 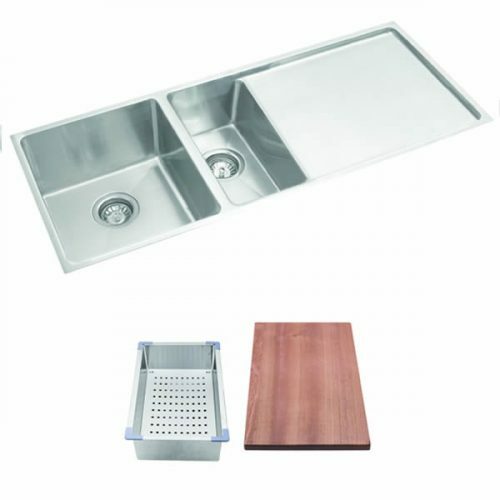 It is equipped with a stainless steel colander, a wooden chopping board and two 90mm basket wastes. 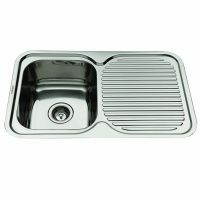 All features of this sink have been well designed to aid effective water flow. 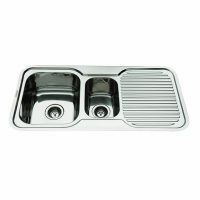 This kitchen sink has been manufactured to the finest quality of standards; it features 1.2mm stainless steel (grade 304) and features a brushed finish. It can be easily cleaned, thanks to internal corners with 10mm radius. Everhard offers a solid 25 year guarantee on the stainless steel bowls and 1 year guarantees on plugs, wastes and accessories. Add practicality and style to your kitchen – at prices you can afford – with this attractive Everhard Squareline Kitchen Sink. For the lowest price ever time, count of Ross’s Discount Home Centre!